Dividend policy is one of the most complex aspects in finance. Why shareholders like dividends and reward managers paying regular growing dividends is still unanswered. The finance manager's goal is to frame a dividend policy to augment the firm's value. The latter has implications for investors, managers, lenders and stakeholders, expressly the claimholders. 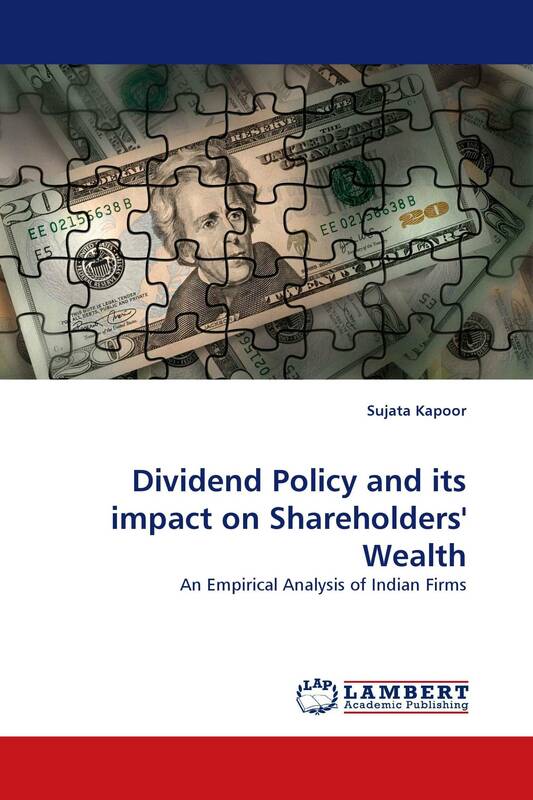 This book is an attempt to study the dividend payout patterns, trends, and determinants in rising markets by focusing solely on IT, FMCG and Services sector. It explores the rationale for stable dividend payments by empirically testing the validity of Lintner Model in Indian context. It reviews and identifies the relative value of known determinants and discerns the influence of ownership groups on dividend payout behavior and tries to unfold the liaison amid shareholders' wealth and dividend payout. The contents aid to policy makers and Finance managers to reframe an apt dividend policy by assisting them to study the effects of varied market frictions on firms and claimholders. The readers will get a firm knowledge about factors constantly affecting firms' payout decisions and ownership structure beneficial to shareholders.